If your child is enrolling in a grade K through 12 in The Woodlands, Texas, it is important that he or she receive a school physical. 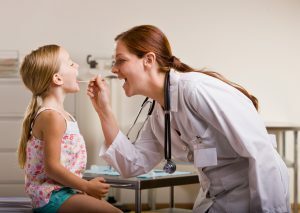 Physical exams are an essential part of preventive healthcare, as they help to determine if your child is healthy enough to endure the challenges of the upcoming school year. Plus, these examinations are often required before students can enroll in classes or participate in extracurricular activities, such as sports. Davam Urgent Care in The Woodlands, TX, makes receiving a school physical, and all necessary health documentation, as easy as possible. For example, our office is open every day of the week from 8 a.m. to 9 p.m., and no appointment is required, allowing you to visit us when it is most convenient for you. Plus, we accept most major insurance plans and offer affordable self-pay options for uninsured patients. Davam Urgent Care is also a fully equipped walk in clinic that can provide immediate care for non-life-threatening conditions, such as fevers, strep throats, lacerations, bone fractures, and many other ailments. Contact us to learn more about the services we provide in The Woodlands, TX. Or, simply walk in with your child to receive a school physical today.